With apologies to both Phil Collins and Monty Python for the title. Nearly three years since my last post, blame it on a mixture of Real Life (TM) and other calamaties. When we were last here, we were talking about Starship Challenger, part of what was meant to be the Star Trek Anthology series. I'd done a fair amount of work to get the Challenger and the Orion ship ready for the first Challenger episode. A teaser act had been put together to show the fate of the USS Ajax and to introduce the character of Captain Colt. Unfortunately, the teaser is not available online, but I do have some stills to show. Here we have the poor old Ajax facing off against the Orion ship, with a Gorn cruiser trying to make a hasty retreat from the battle. 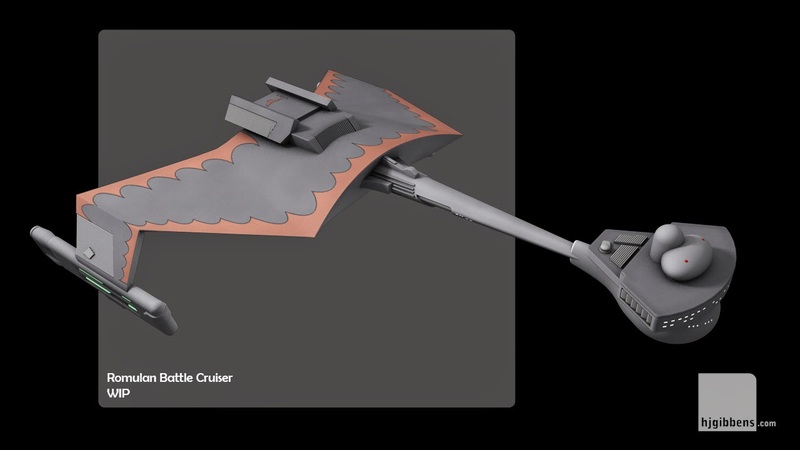 The Ajax is not in good shape - modeling and texture fun to create some battle damage. Those things floating around - lifeboats. Although we did not see lifeboats in the TOS era, a design was seen in the 'Debt of Honour' graphic novel which is what I based my model on. The fun part came with allowing Colt to escape the doomed Ajax after putting it on a collision course with the Orion ship. Initially, there was an idea to have a Captain's Chair lifeboat which would mechanically surround the centre chair and allow it to be jetissoned from the bridge. This proved a little tricky to get to work with the live action segments, so instead it was decided to eject the whole bridge module. This option had been outlined in the fan based publication 'USS Enterprise Officer's Manual' by Geoffrey Mandel back in the 80's. 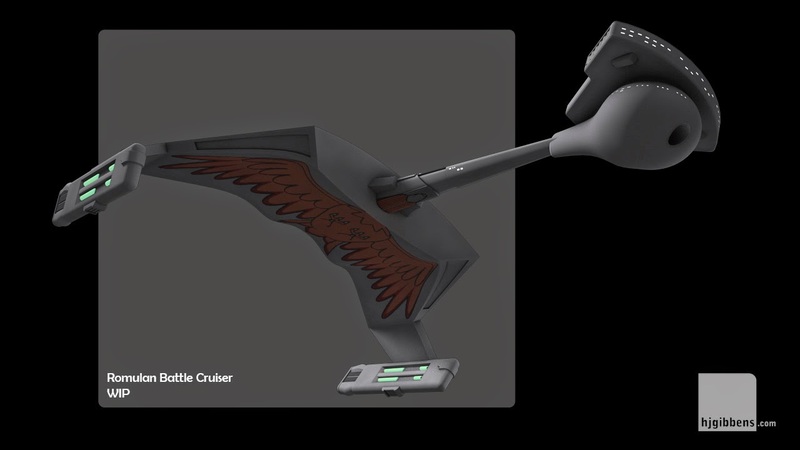 The teaser was edited together, and the production was looking forward to getting on with the main part of the first episode....... then came the Axanar lawsuit. Followers of Star Trek fan films will probably already know more than they want about the Axanar fiasco but for those who don't, a brief recap. 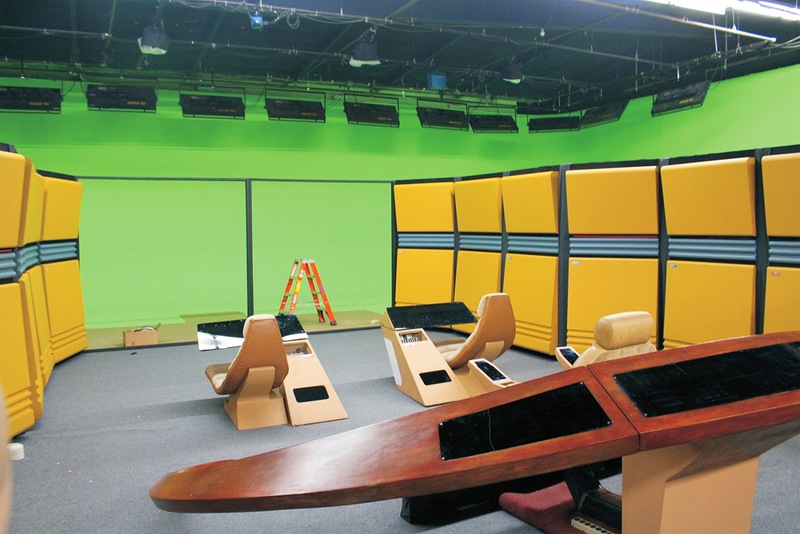 Axanar was meant to be the holy grail of Star Trek fan films, with professionals on both sides of the camera and behind the scenes. A faux documentary short, 'Prelude to Axanar' - look it up on Youtube - had been released and well received by the fans. On the back of this, the producer of Axanar had been able to raise nearly $US 1.5 million to do the film proper through crowdfunding. Then things started to get a bit murky - as part of the fundraising, Axanar was selling Axanar branded model kits and coffee, with a view to branching out into tabletop gaming and books. 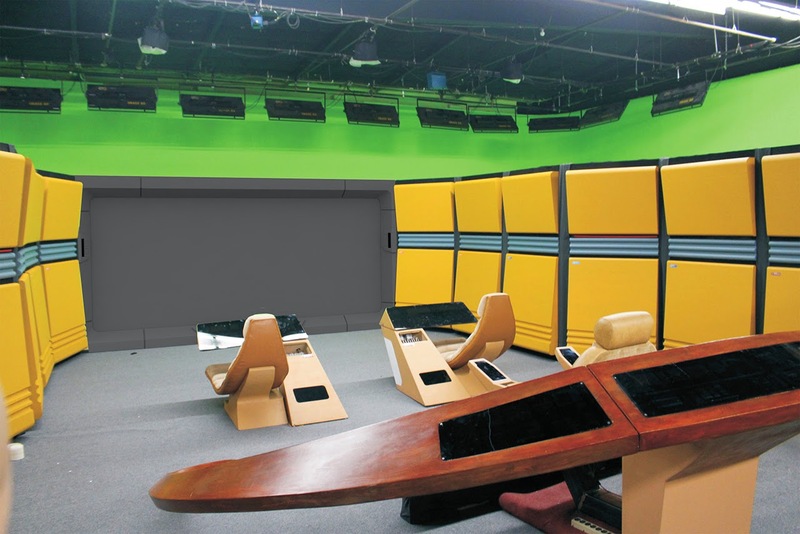 They also rented out a warehouse in LA with a view to fitting it out as a studio, which could also be used for productions beyond Axanar. This raised red flags with CBS/Paramount - money was being raised on the back of Star Trek intellectual property without any form of official licensing. After tolerating Star Trek fan films for a number of years, CBS/Paramount decided to drop the legal hammer and take Axanar to court. The Star Trek Anthology crew took a break to regroup. Rather than trying to play by the new guidelines, they elected to try and create their own universe to play in, the worlds of The Outer Rim. One of the original anthology stories was reworked, morphing into Sweepers- a tale of the crew of the planetary survey vessel, the Audrey. The initial approach to the Audrey was a Winnebago/VW Camper Van in space. However, when the sets for the live action shoot where built, it was clear that a different approach was needed to reconcile the set and the exterior. The Audrey also marked a move into new territory for me on two fronts. It marks the first time that I have used Substance Painter to texture a model. The approach to procedural dirt and grime based off the models geometry allows me to produce more detailed texture maps far easier than previously, and I feel that I have only just scratched the surface of what Painter can do. Secondly, I have switched to using the third party renderer, Redshift with Cinema 4D. This renderer utilises the power of the graphics card GPU to speed up rendering, giving better quality results in a markedly reduced time compared to Cinema's built in Physical renderer. And here is the trailer for Sweepers. Hop on over to Youtube to embiggen. There is also a fair amount of work in that trailer beyond just the Audrey. The set was filmed with greenscreen windows which unfortunately had to be roto'ed out rather than just keyed due to a large amount of greenscreen spill on the window frames and the reflective panel surfaces - luckily someone else had done a fair amount of that work before I got the footage saving me some time and headaches. The anomoly/portal is entirely done in After Effects and the lightning generator also got a fair work out. Unfortunately, due to Real Life (TM) conflicting with release deadlines for Sweepers, I have had to step away from the project and have handed on the Audrey to another modeler/animator to get the footage done for the episode. Unable to fully let go of Star Trek, I have been helping out with 'Yorktown: A Time To Heal' - a fan film that was originally filmed in the 1980's and starring TOS's Mr Sulu himself, George Takei. The film was never finished, but the original film has been digitised and an effort made to complete live action filming and finish the effects work. I have been completeing a few green screen shots. 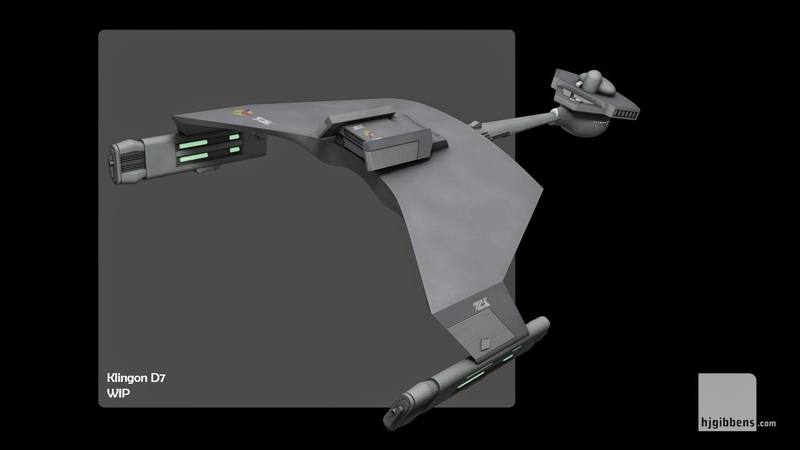 The Klingon fighter cockpit was modeled by someone else, but re-textured and lit by yours truly. 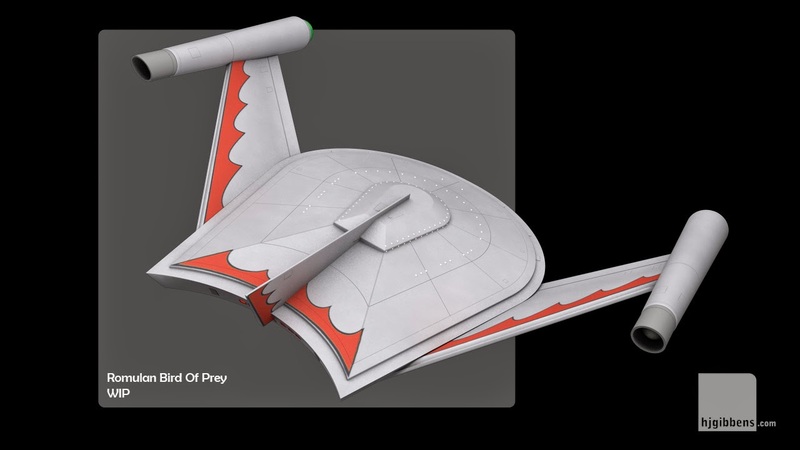 A model of the Klingon fighter had been done by another artist, but there was some question as to whether that model would be available to the production - so I set about building a replacement. At this point in time, I am still helping out with some minor bits and pieces for Yorktown, will keep everyone posted as to when it finally comes out. In the meantime, I have some time to brush up on my Substance Painter and Redshift skills and get my head around some of the new features in both Modo and Cinema 4D. I may even has some time to do some personal projects... Wish me luck! Couple of updates from recent work. 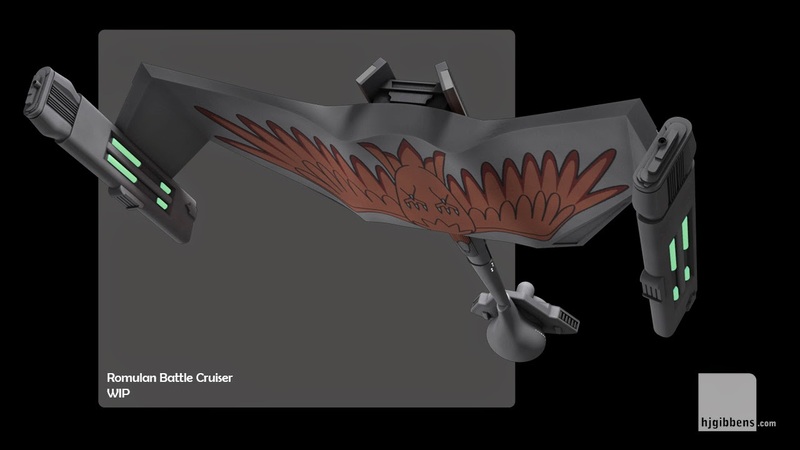 First up is a model for the opening episode of 'Starship Challenger' - the Orion Pirate vessel first seen in the animated Star Trek series from Filmation. There were only a couple of views from the episode which gave a vague idea of the shape. There are a couple of models out there on the interwebs, but I wanted to try and create my own take on the design. There were a couple of iterations, but this is the version that was finally approved. 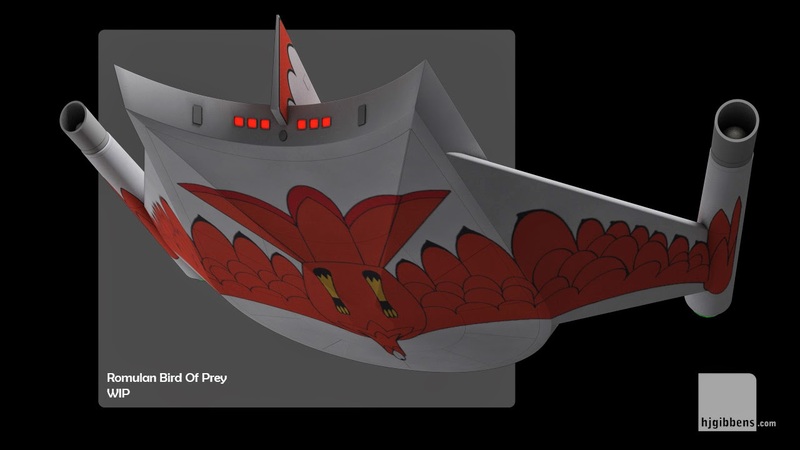 The emblems on the wings and nose are the Orion emblem from the FASA role playing game - just to add another geeky reference into the mix. 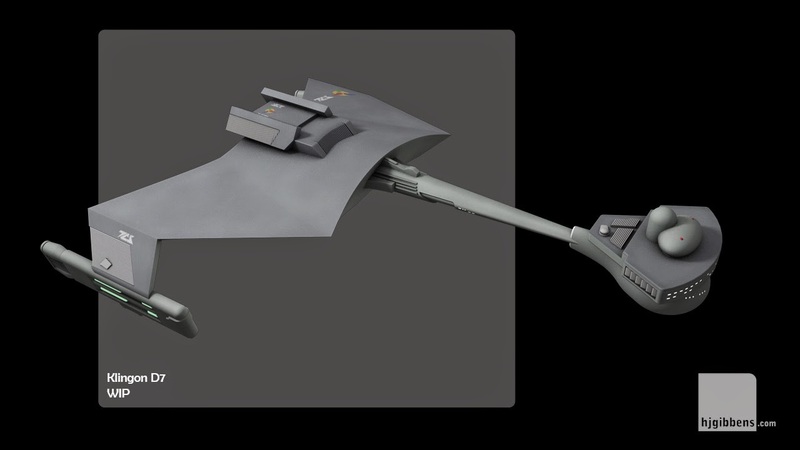 Second up is a model that was meant to be for the new SyFy channel show, 'Hunters'. Unfortunately, the VFX work was given to another vendor in the end, so my work was nixed before I had a chance to finish it. The Hunter Pod was a very organic shape - something a little out of my hard surface comfort zone. I modeled out the general shape as a subdivision surface in Modo and was then planning add the organic surface detail using Cinema 4D's sculpting tools. I had got the model to a fully UV'ed stage ready to transfer to Cinema when the plug was pulled. Sadly, that's life in the commercial world. I might go back at some point and finish off the sculpt as a personal project. Last few months have been pretty busy, so time for an update or two. 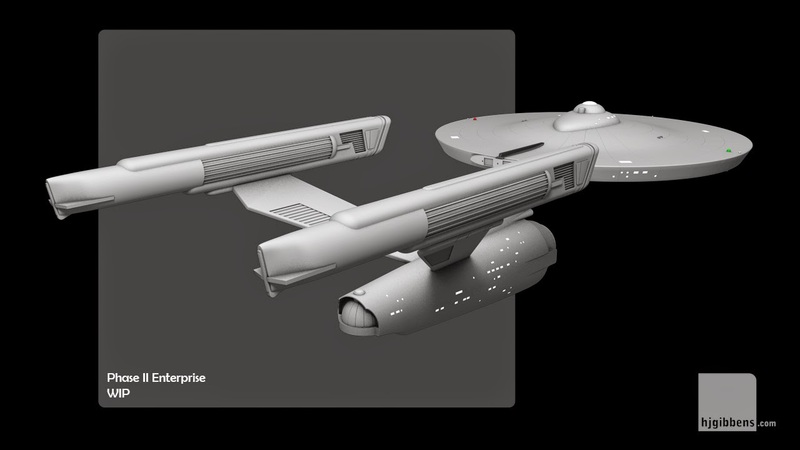 Had a chance to help out Michael Struck at Neo F/X with some modeling work for the upcoming Starship Farragut episode. 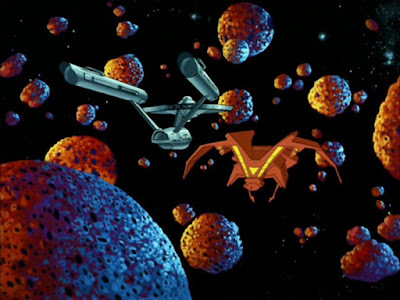 The brief was for a space station with a combination of TOS and ring elements. A combination of elements that came together quite well. Look forward to seeing it in the episode. 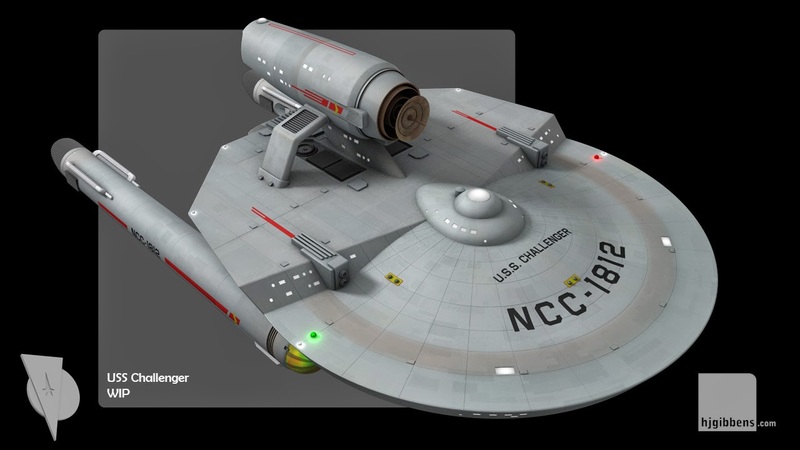 Work on Starship Challenger has also been moving forward. I was asked to come up with some shots to use in a launch trailer and have used these shots to try out some new techniques and develop a look for the Challenger VFX. Cinema 4D allows the export of multipass renders with an ease that I could only have dreamed of in my Lightwave days - this in turn gives a lot of leeway to further develop the looks of shots in After Effects. I've aimed for more of a studio lighting setup rather than real world lighting to try and give a slighter older style VFX look rather than a crisp physically accurate real world approach. With the mutipass approach I'm able to go in and tweak the individual lights pass elements - diffuse, specular and shadow, as well as have access to the window illumination passes, navigation lights, illuminated textures and other elements which allows a lot of flexibility in post. Trying to build on the lessons I learned while working with Chris Dawson, Roland Baron, Wil Jaspers and Bill Thomas while working on Star Trek: Of Gods and Men. I'm also making a lot of use of Video Copilot's Element 3D and Optical Flares plug-ins. All the planets are done in After Effects with E3D - I've dissected a couple of other people's approach to planets to see how they have produced the individual surface, cloud and atmosphere elements, and I'm hoping to add auroras and cloud lightening to future versions once I work them out. Not entirely nailed the use of Optical Flares - as well as sun flares, I'm trying to use it to accentuate the navigation lights - results are not as consistent as I would like as yet. Last weekend, I had the distinct pleasure of watching the Melbourne Symphony Orchestra play Michael Giacchino's score for Star Trek, live with a screening of the film. It was a fantastic way to introduce my teenage son to the wonders of a live orchestra. However, the clincher for me was the encore - Jerry Goldsmith's closing theme for Star Trek: The Motion Picture. Hearing this piece of music, which has been on my playlist from the days of vinyl to the advent of CDs and now to ITunes, played live was beyond description - brought a tear to my eye in the nicest way. Looking forward to the MSO's next live score project - Alan Silvestri's Back To The Future which is coming our way in November. Not me, couple of years before I hit that milestone, but this is my 50th post according to my Blogger stats. Few things on the go at the moment. 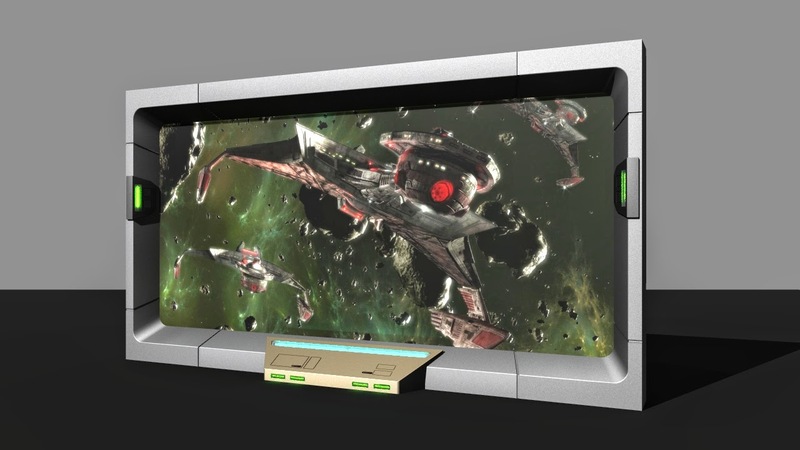 First up, Michael Struck over at Neo-FX asked me to help out with a viewscreen for 'Star Trek: Renegades'. Must be a recurring theme for me - there was the window with a view for the 'Welcome To The Cosmos' teaser, the the Romulan viewscreen for 'Starship Farragut' and now this one. 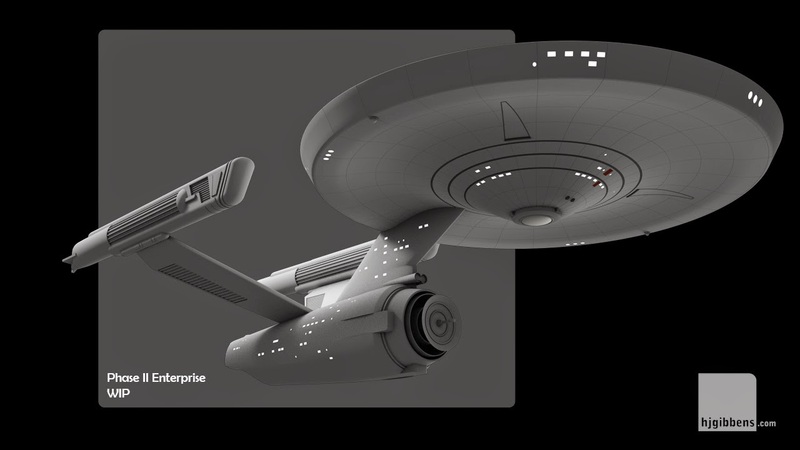 Here's the live action set and Scott Nakada's design. The more recent release of Cinema 4D comes with a nifty Camera Calibrator utility that allows you to define x,y and z axes from an image and will then set up a camera and scene to match. Makes trying to align elements of the 3D model to the set a hell of a lot easier. Some work in Modo with some fix up in Cinema produced this result. Still in the process of getting it textured and had to make some adjustments to get a uniform UV layout, then over in to Lightwave to get it textured and start on a lighting setup - still some work to do yet. Meanwhile, back with Challenger. 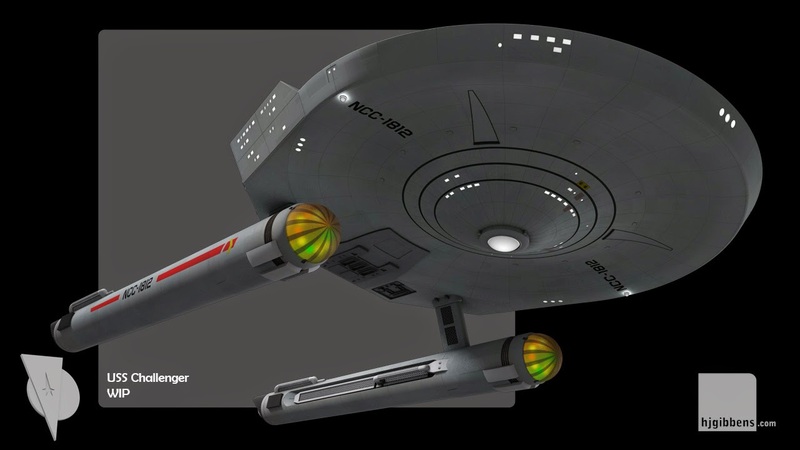 The pilot episode features the Phase II Enterprise. 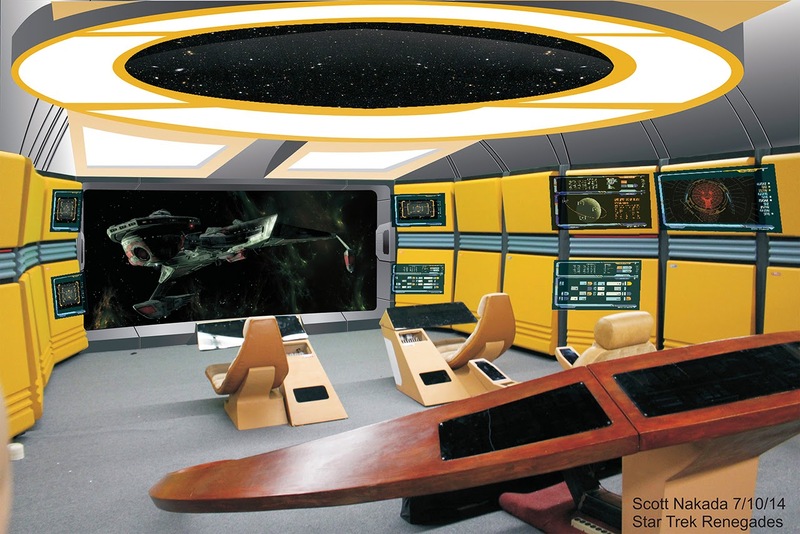 Initially, the production had hoped to be able to use Tobias Richter's new Phase II Enterprise, but, understandably, the folks at Phase II want that model kept strictly 'in-house'. My only solution was to build my own version based on images that Tobias had posted in a WIP thread over at SciFi-Meshes. There was talk of using one of the Phase II models that was available for download. 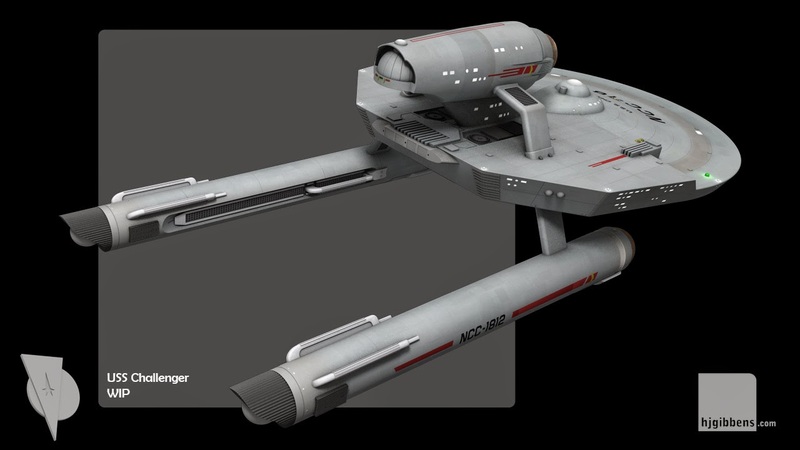 However, those versions are all based on Matt Jeffries' unused Enterprise for the 1970's Phase II production. Tobias' version is something of a half way house between the TOS and proposed Phase II version - a practical choice to avoid expensive set rebuilding to match the 70's interior layout. Here's the progress so far. 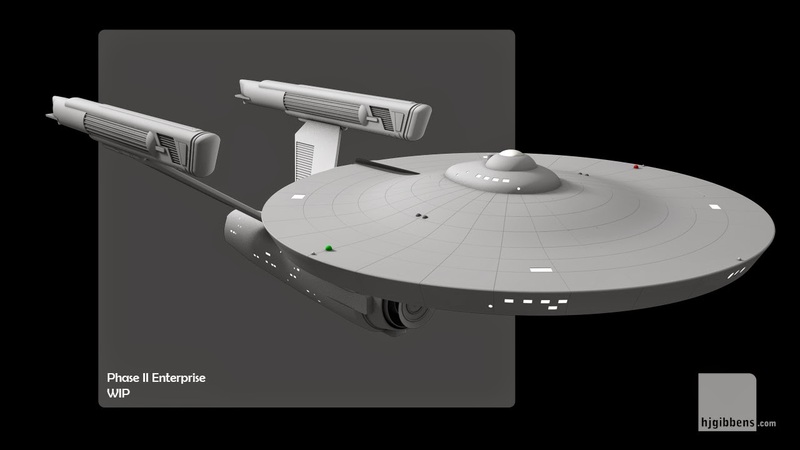 The Primary and Secondary hulls are essentially unchanged from the TOS version, allowing me to use an existing Enterprise mesh that I had already started. There's still a heap of detail to add from Tobias' version but it seems to be heading in the right direction. Since this is my 50th post, I thought I would indulge myself a little. 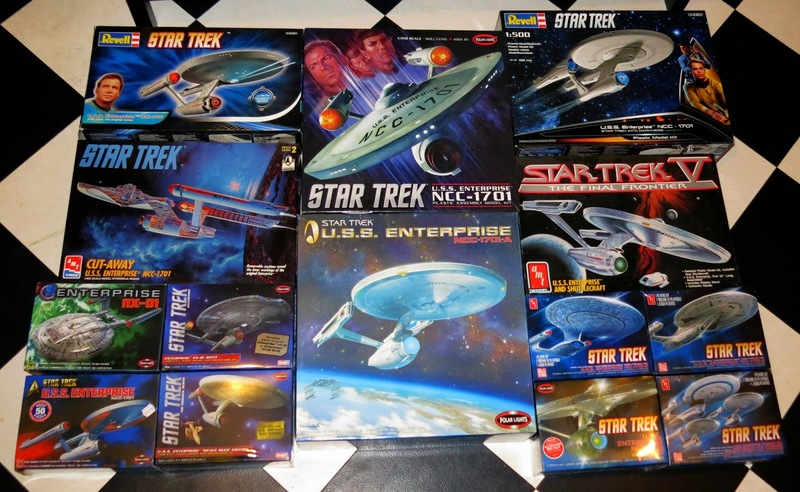 Apart from modelling Star Trek in a digital sense, I also collect the plastic kits as well. After adding another Enterprise kit to the collection, my wife asked how many versions of the Enterprise I actually had. Which prompted the following photograph. I think I count sixteen versions to date, although I now have a 1701-C on its way to add to the collection. And for those that know me, yes that is an Abrams-Trek Enterprise on the upper right - might not be quite my Enterprise, but it is still the Enterprise to a new generation. There is an old AMT kit hidden away somewhere, but storage in a mice infested shed has seen it come to rodent nibbled grief - I'll probably replace it with the recent re-release which did away with the raised grid lines on the primary hull and went back to the smooth surface of the original 60's version. 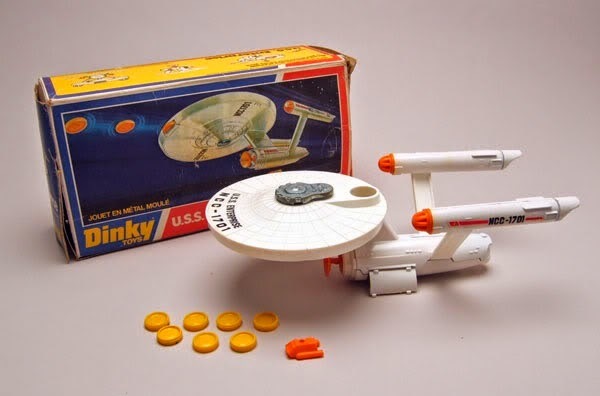 And let's not forget the Dinky version, which still has its box and plastic shuttlecraft and torpedoes. There was a request for a space station as part of the credits sequence for Challenger. The brief was for something TOS in look but not the bog standard K7. There was Masao Okazaki's Watchtower class station used in the Vanguard novel series, but Tobias Richter has already done an outstanding version of this which is appearing in 'Yorktown: A Time To Heal'. 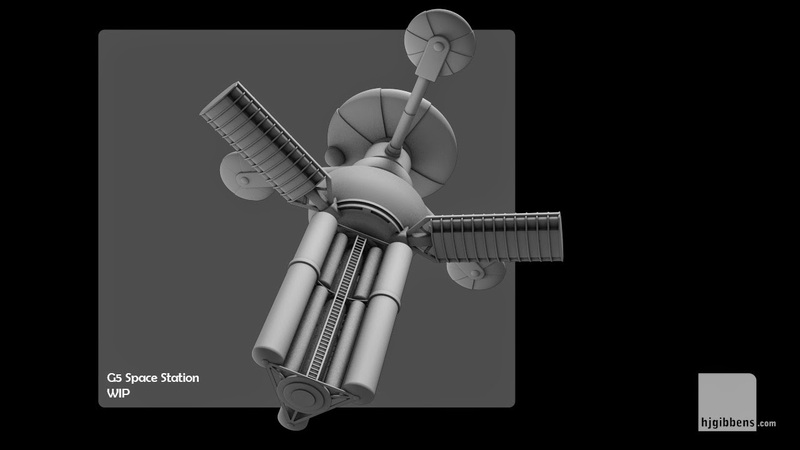 I had noticed the G5 station over at modelling site Tyken's Rift - an interesting kit bash between the AMT K7 and MPC's Pilgrim Observer. I contacted the creator and asked if he would be amenable to me building a 3D model based on his design - he kindly agreed. I have made a few minor changes - but the essential design is the same. I still have some more detail to add, but this is where the 3D version stands at the moment. Been working on the title sequence for Jim Bray's Challenger. 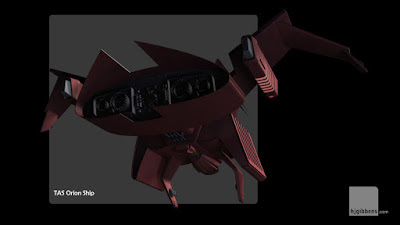 Since it is part of his 'Starship Anthology' project, he would like the titles to feature a number of ships as well as the Challenger. Since this included alien races as well, I needed to add to my collection of meshes. 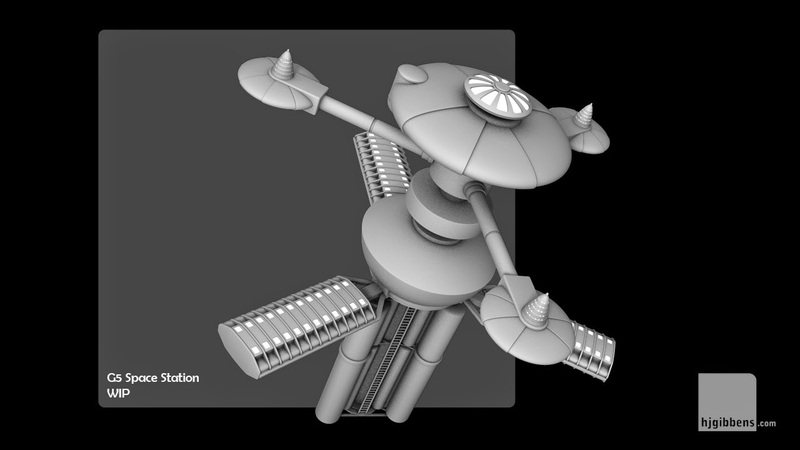 I started with Prologic9's excellent D7 and Romulan BOP available from Foundation3D. 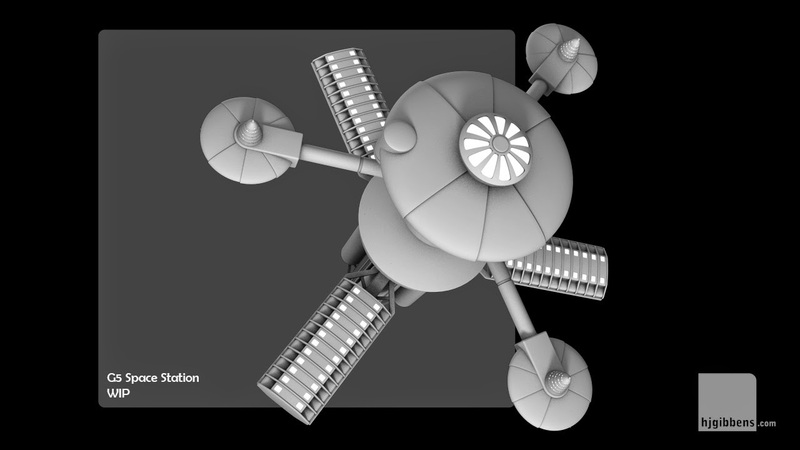 There were a number of practical issues with trying to get the models over in to Cinema 4D. In the end, I bit the bullet and rebuilt certain parts of the meshes, as well as converting the Lightwave planar mapping over to UV mapping. 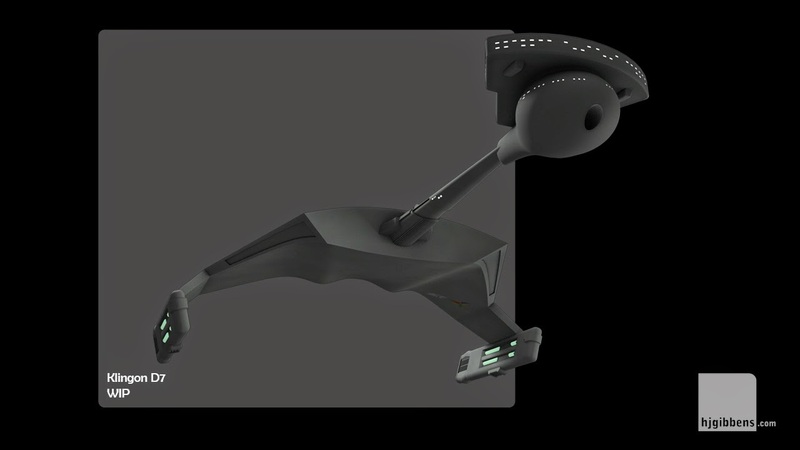 First up, the Klingon D7. 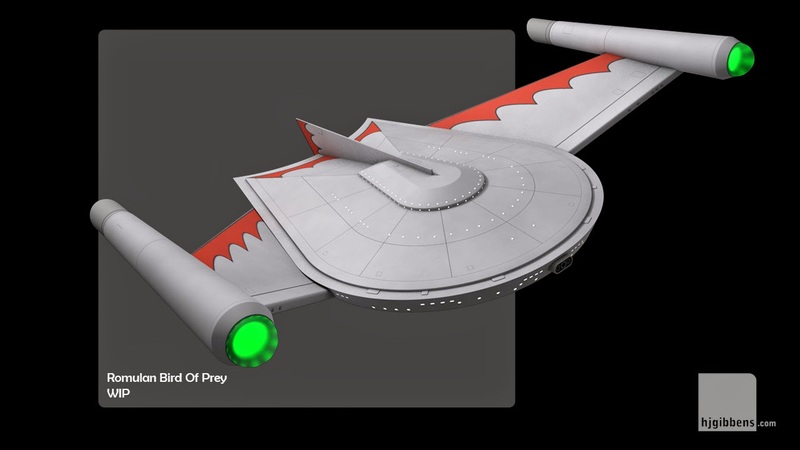 I scanned in the decal sheet from the Polar Lights Romulan Battle Cruiser kit, and with a bit of Photoshop manipulation, was able to produce the Romulan variant of this model. Still got some work to do - need to work out some specularity maps, and may add the engine details featured on the remastered TOS version. 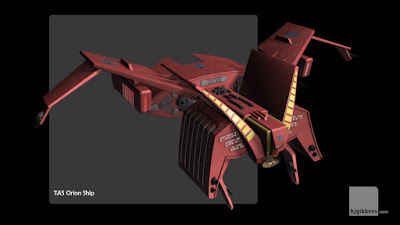 With these two well on the way, I turned to the classic Romulan Bird of Prey. 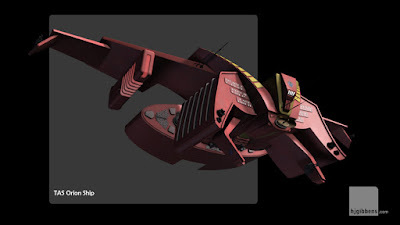 I'll probably offend some purists, but I added some paneling detail that I has seen in images of a garage kit of this ship, as well as insetting the window details rather than the extruded surface version that appeared on the original studio model. Again, more Photoshop fun with the decals from the re-release of the AMT kit. The bussard details need fixing up, and I need to work out some specularity maps. Managed to get the bulk of the texture work done on the Challenger. Scrubbed up quite well. I was going to add in some window boxes to give an impression of rooms behind the windows, but there is a push to get some animated footage produced, so that can take a back seat for the moment.